Last month on the blog we introduced you to real life bride & celebrity columnist Jane Witherspoon, who is sharing her planning journey exclusively on Brides Up North in the run up to her October wedding. 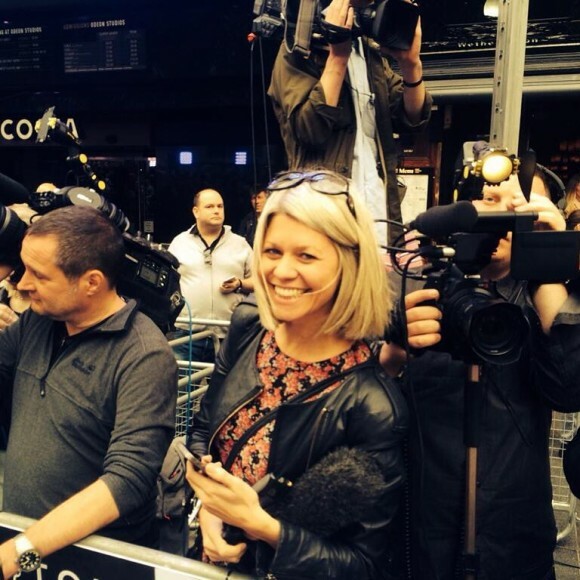 If you recall Jane has a pretty cool but extremely busy job as a showbiz TV reporter and presenter for the likes of Good Morning Britain. 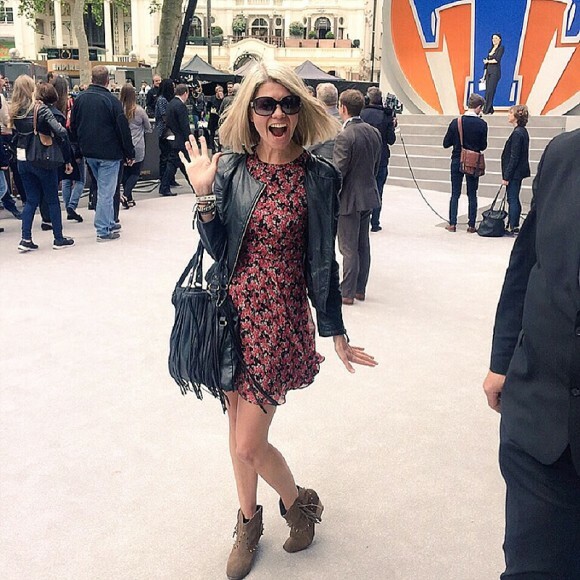 And while that does mean rubbing shoulders with the celebs, it also means a hectic schedule full of early starts and late finishes, making finding time to plan a wedding all the more challenging. jane says: As I sit down to write this month’s blog the panic sets in. I keep telling myself we’ve got loads of time to organise our wedding but it’s now just over four months away – 17 weeks to be exact (I’ve just read the last line out to Alex and his reply was ‘Oh thanks for that, you’ve got me worried now’)! I’ve discovered as time goes by that Alex has been approaching the organising of our day very cleverly. Let’s put it this way – he’s a great project manager! Then again I can be a bit of a control freak so it works. May has been a crazy month workwise. It started with a charity ball with the cast of Downton Abbey followed by the General Election. No matter how much I do it, waking at 3am is never easy. It was a buzz hanging outside Conservative HQ waiting to grab the first shots of the Prime Minister to arrive from his count in Whitney. And then there was George! 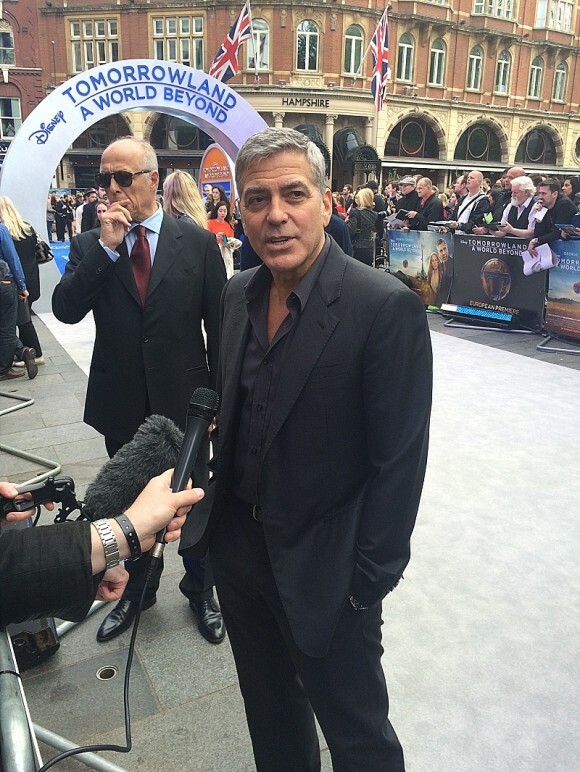 Clooney that is! I’ve been lucky enough to interview him a few times over the years and he’s always a dream interviewee – so charming and professional. 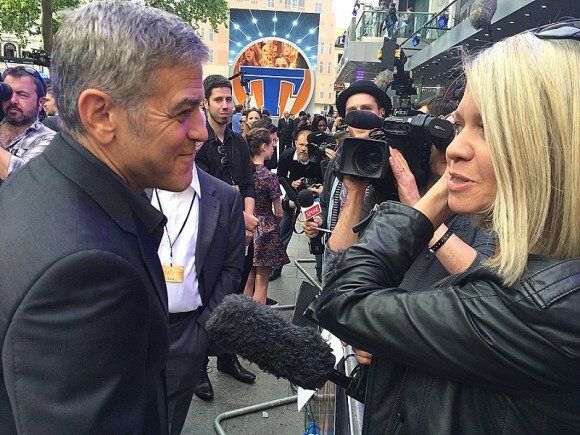 When reporting from the red carpet of the premiere of his new film Tomorrrowland in Leicester Square I seized the opportunity to ask him a bit of advice for that first year of marriage. His reply: “I would say, your husband is always right…just a thought.” That’s apart from when he’s wrong of course George! It’s quite full on trying to organise a big event around our work schedules but we’re getting there. I think that’s mainly due to the fact that we decided on a venue very early on. Alex is from a very small family which is just as well as mine is huge. Speak to any bride and groom and I’m sure they’ll tell you the most stressful thing about organising a wedding is deciding who to invite. It’s the most awful thing having to whittle down a list of friends and family. In fact, it’s quite brutal. Everyone tells you to just invite who you want and people will understand. That’s all well and good but they’ve never met my Mum. She had her own list from the off! Luckily the venue pretty much dictates how many people can be accommodated so that does help in deciding numbers. When choosing where to get married there were only two choices for us, Wigan (where Alex is from) or the North East (my roots). 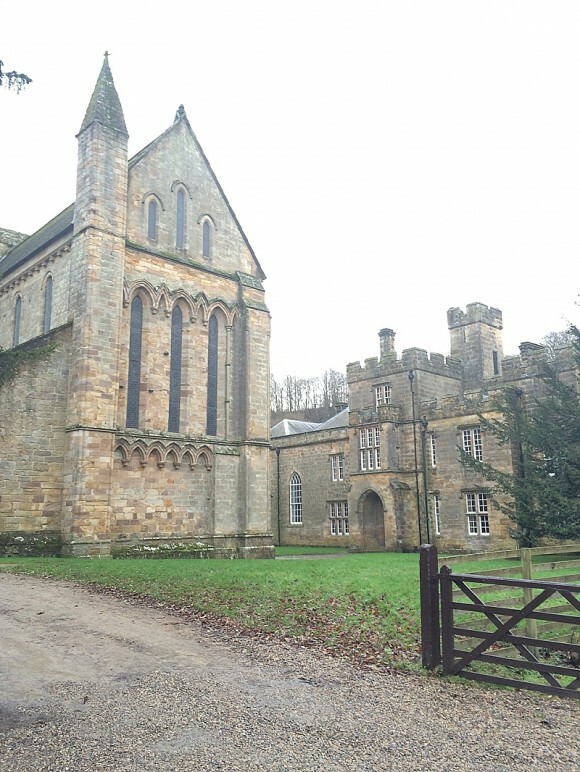 Just after the New Year we decided to visit two potential venues in Northumberland: Short Flat Tower in Belsay and Brinkburn Priory near Rothbury. We went to Brinkburn first. We never made it to Belsay. From the moment we pulled up to Brinkburn we were sold on it. It is the perfect place. Emma, Jan and the team there are so welcoming and totally got us and what we wanted from the day from that very first meeting. 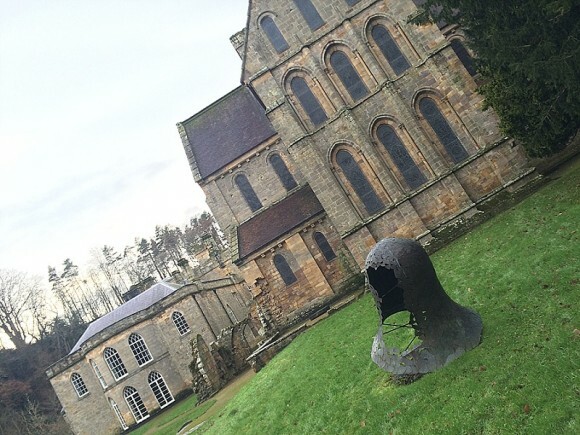 The priory was a 12th Century Medieval monastery built on a bend on the River Coquet. It’s beautiful. The priory church is like a mini cathedral and the converted stables mean there’s lovely spacious accommodation on site for family. We’ve decided on welcome drinks on arrival and then our 120 guests will take their seats in the Priory before dinner, drinks and dancing in the tipis which will be erected on site. I love that we don’t have to move location throughout the day and that it’s all confined to this beautiful English Heritage site. The food on the day is being organised by Wilkins Fine Dining. Their menus are incredible and we’re actually off to the North East next weekend for a tasting session. This is surely one of the fun points in organising a wedding! Wilkins source and use local produce for their meals which I’m thrilled about. It’s great to support local businesses. There’s one question that I keep getting asked about the wedding and that is ‘What’s your theme?’ I didn’t realise how important this is to some people. I still don’t have a theme as such but I know it will be a classic, fun day and night. There’ll be lots of laughs, candles and fairy lights to enhance the already magical setting. I’d love to know: have you picked a theme for your big day, and if so, what?